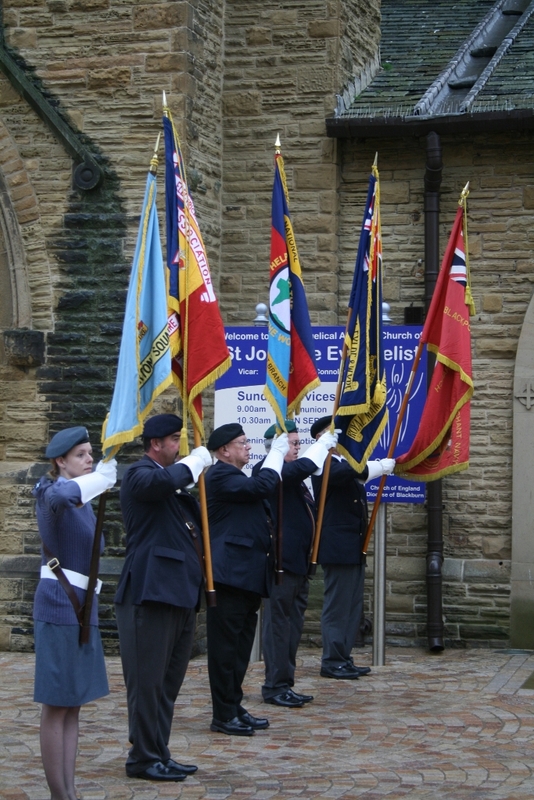 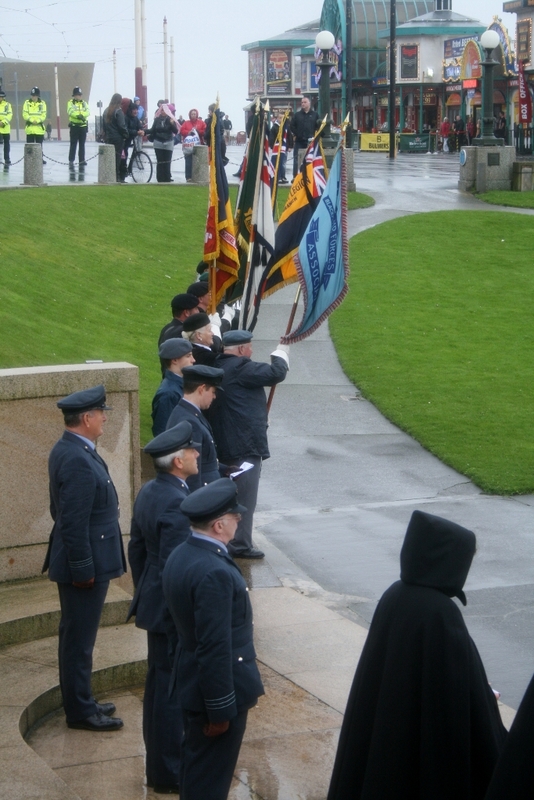 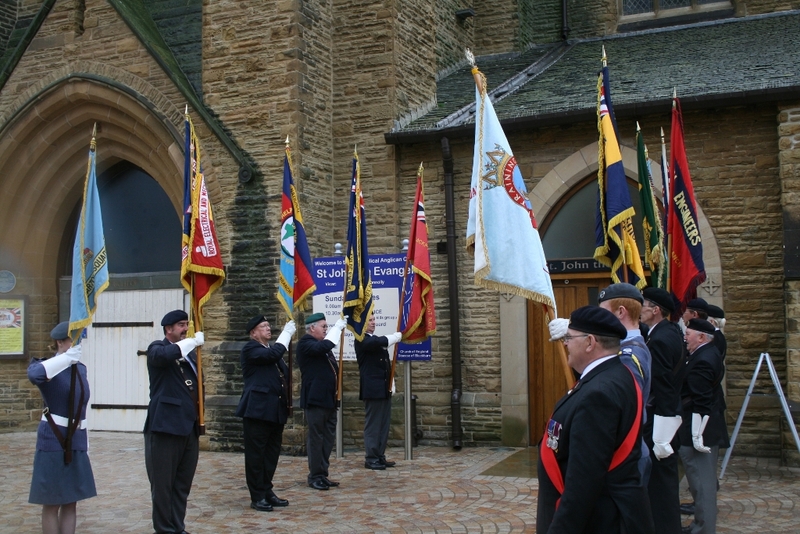 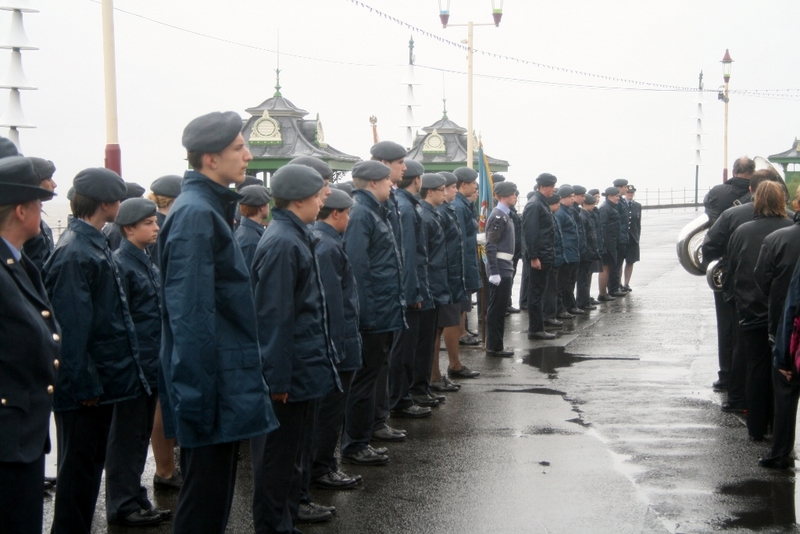 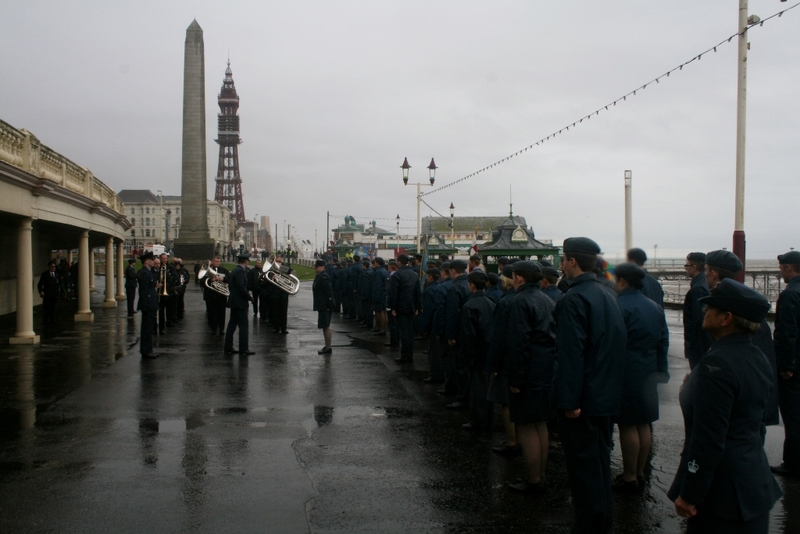 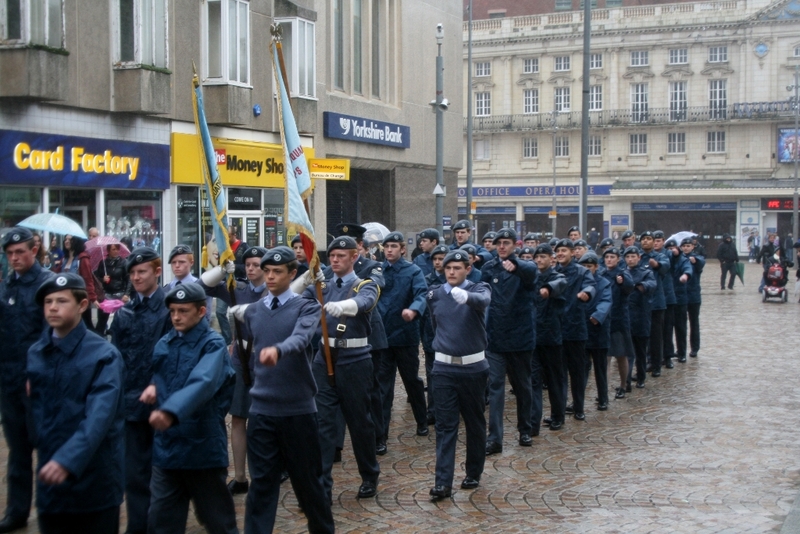 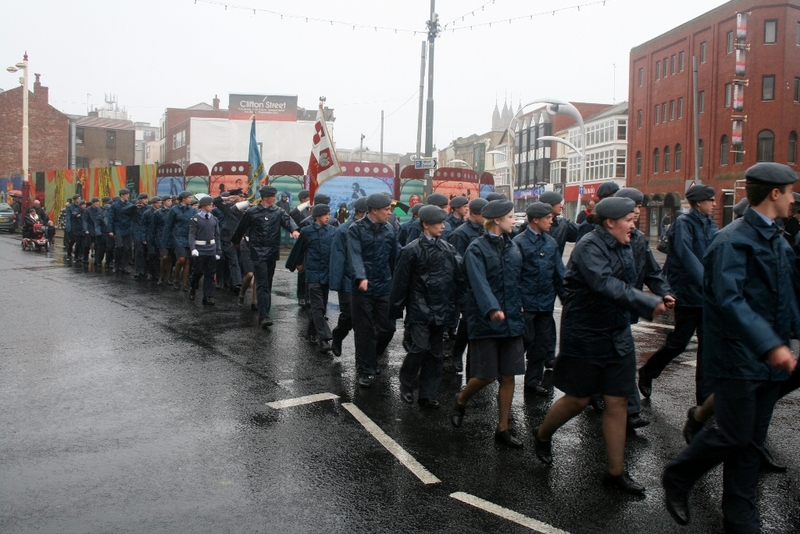 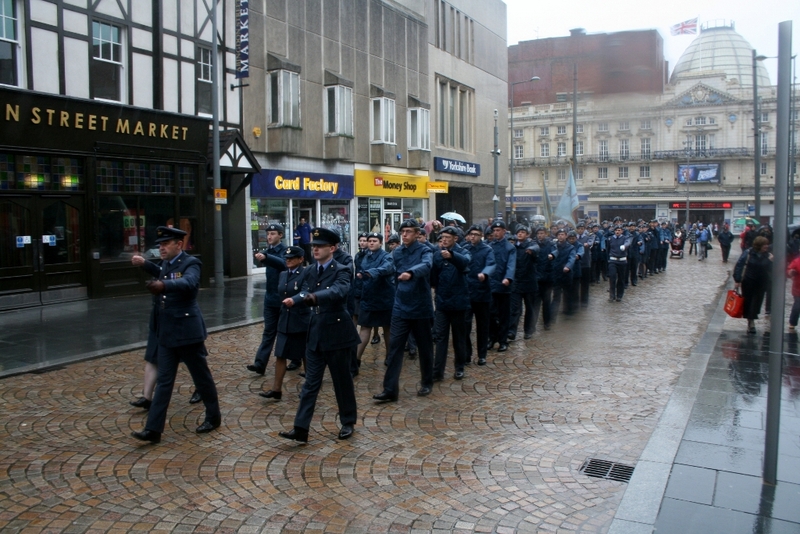 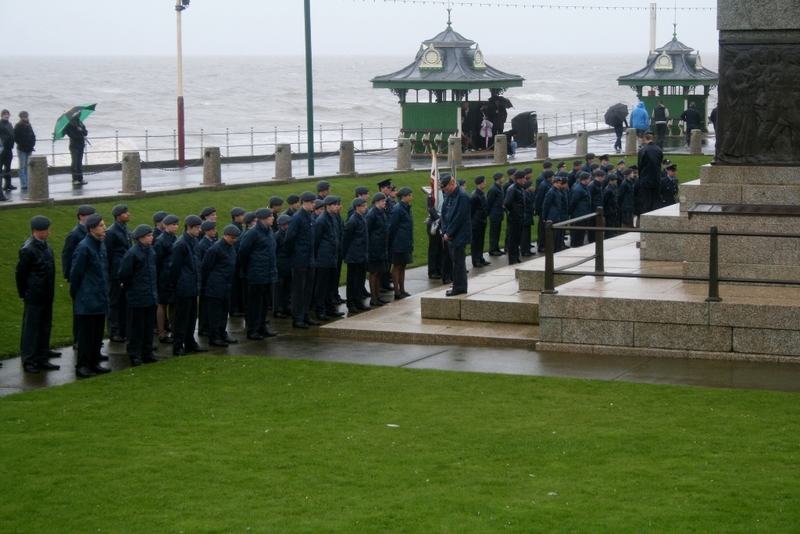 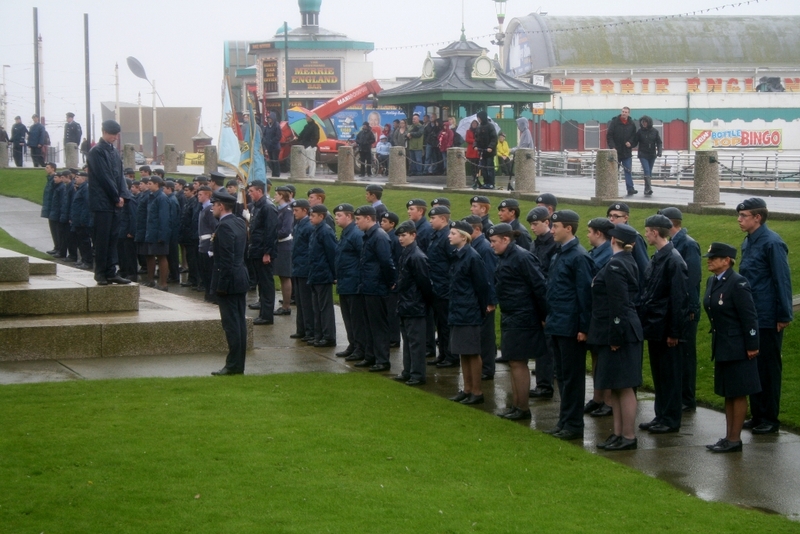 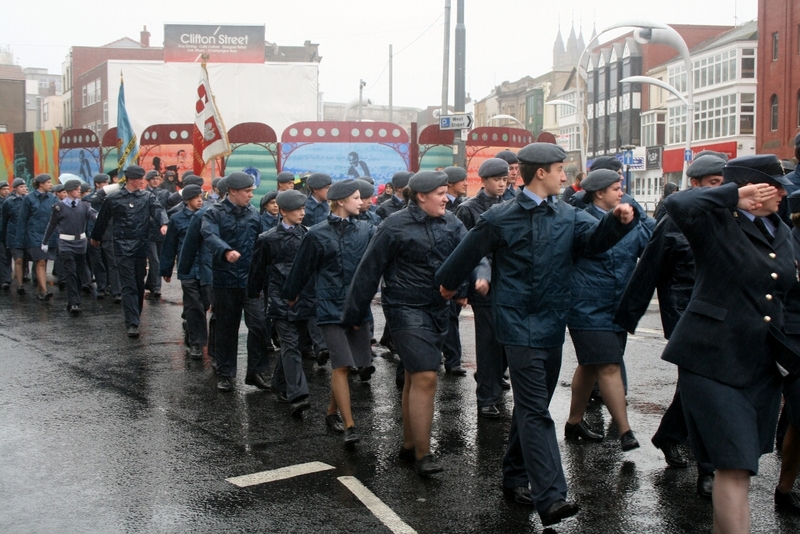 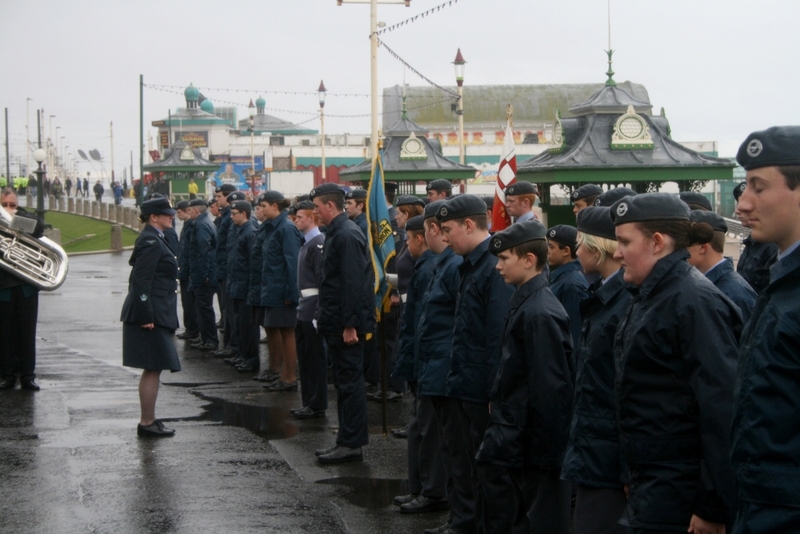 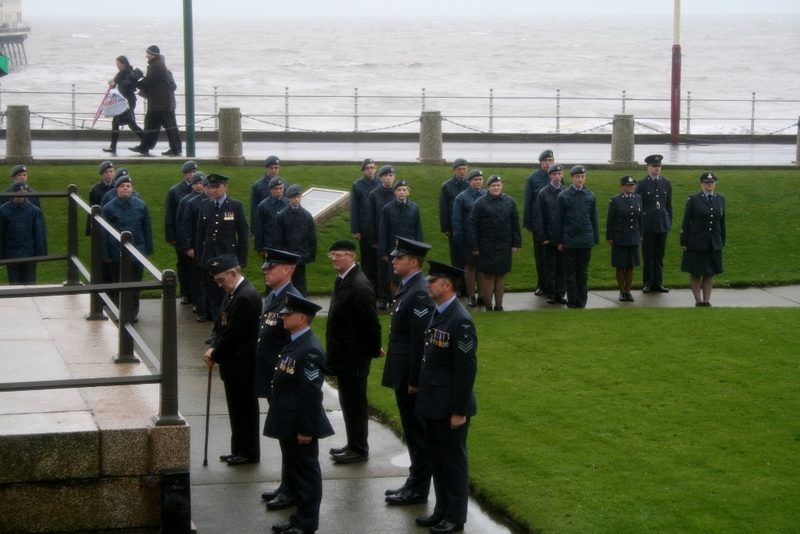 Cadets and staff of 967 (BAe Warton) Squadron today joined serving members of the Royal Air Force, Veterans and other Air Cadets from the Fylde coast in Blackpool to commemorate the 72nd anniversary of the Battle of Britain in 1940. 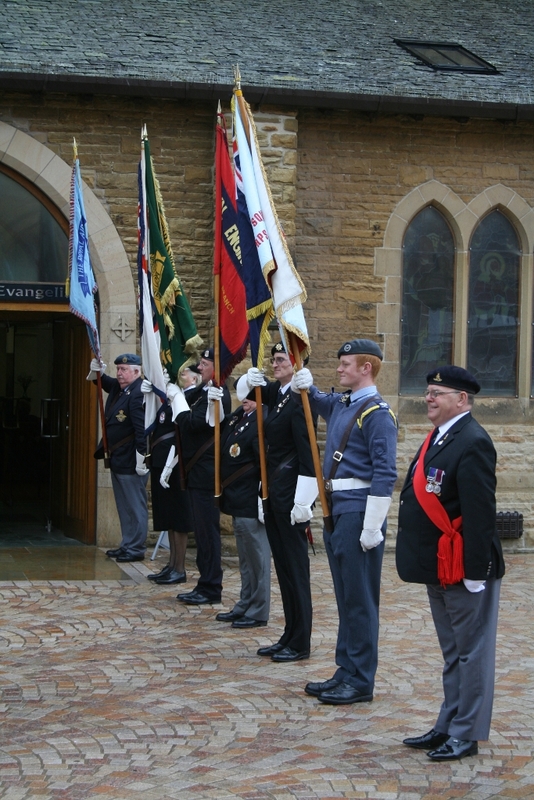 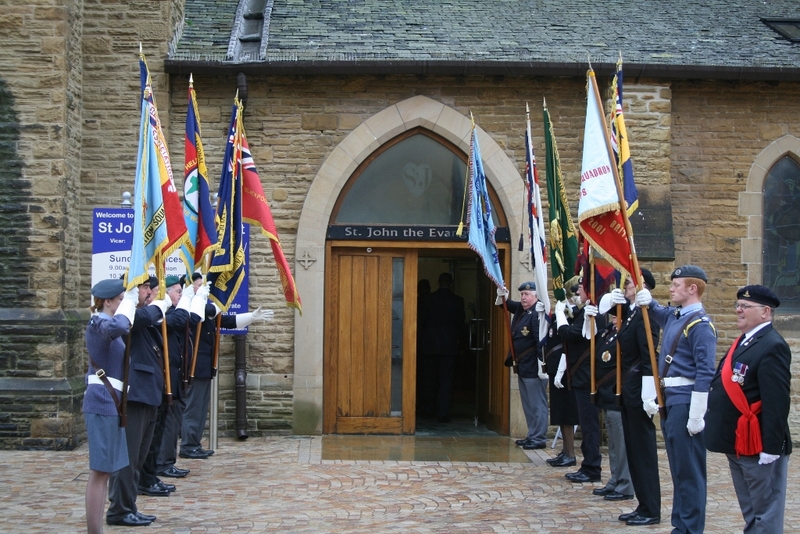 During the service the reading was given by two Cadets and Officer Commanding Cumbria & Lancashire Wing, Wing Commander Steve Molloy, gave the lesson. 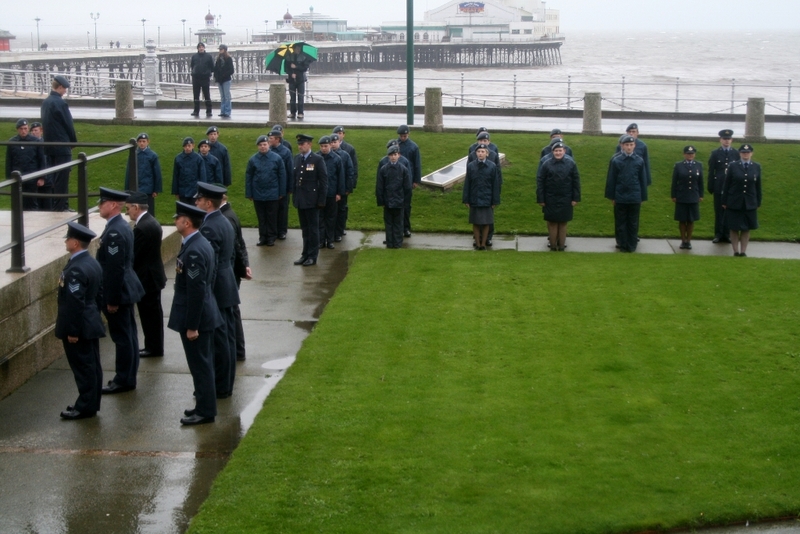 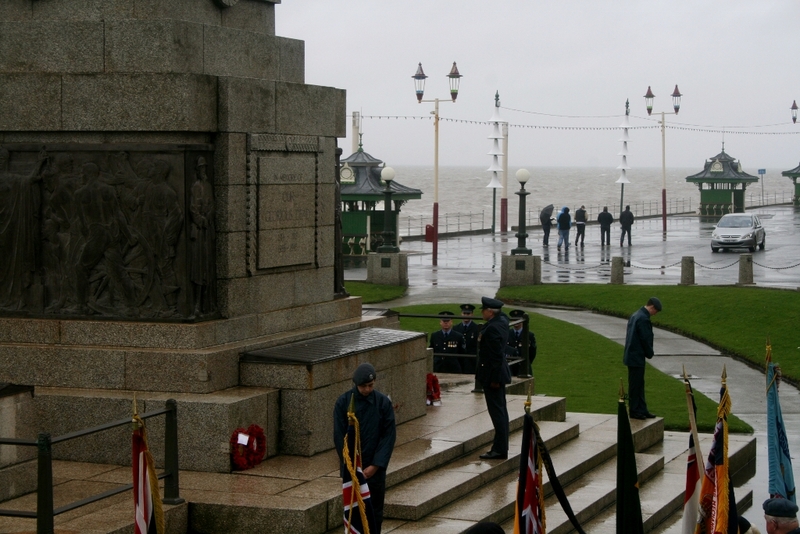 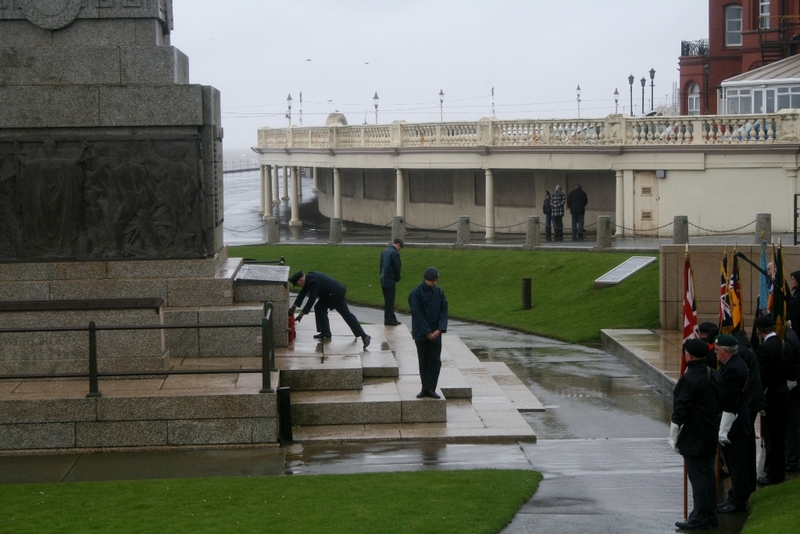 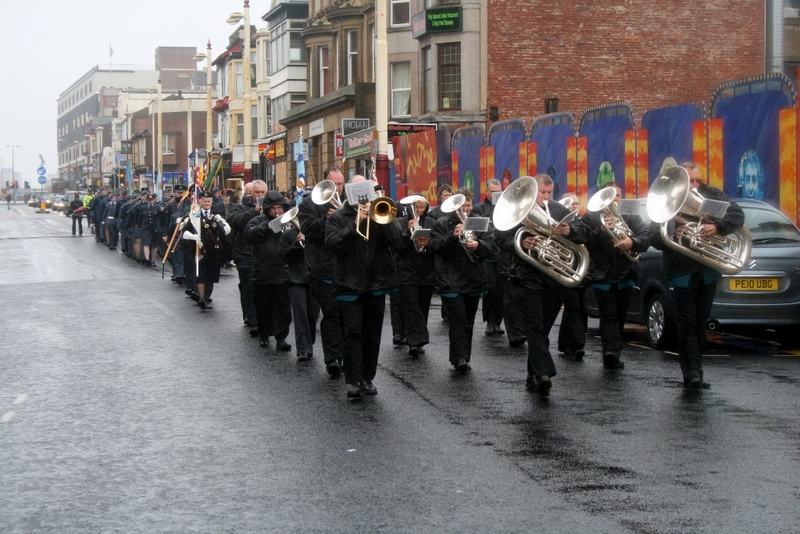 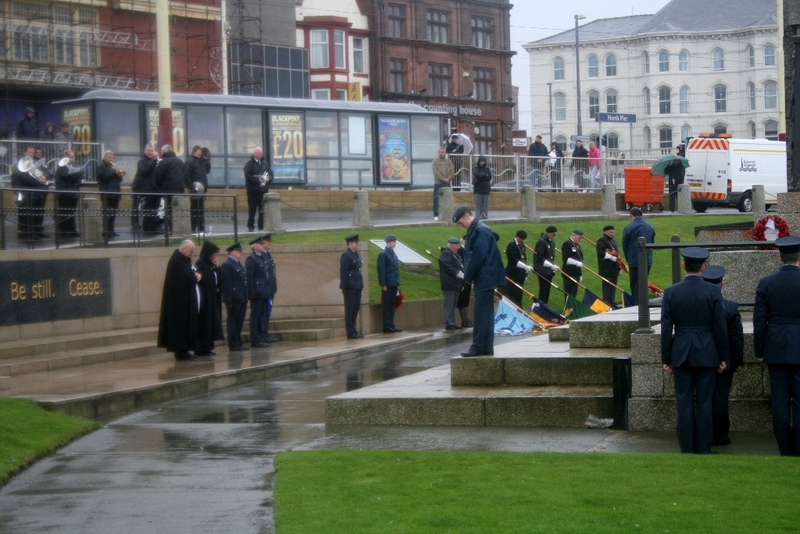 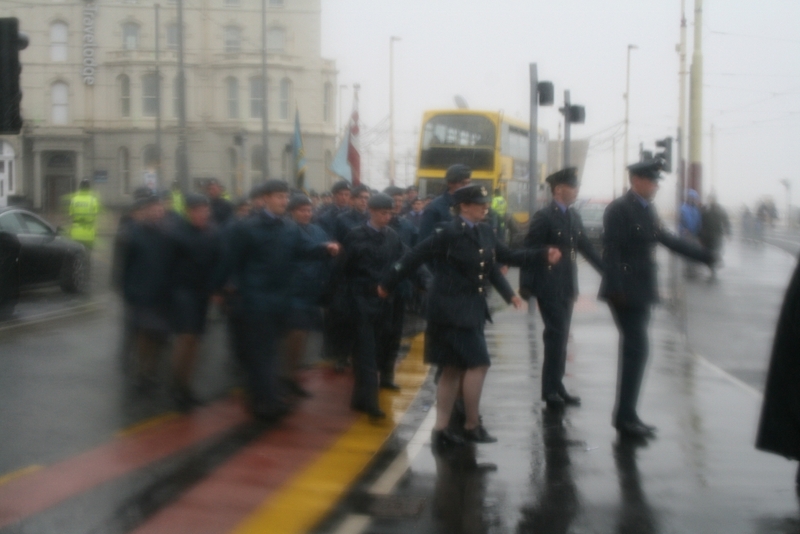 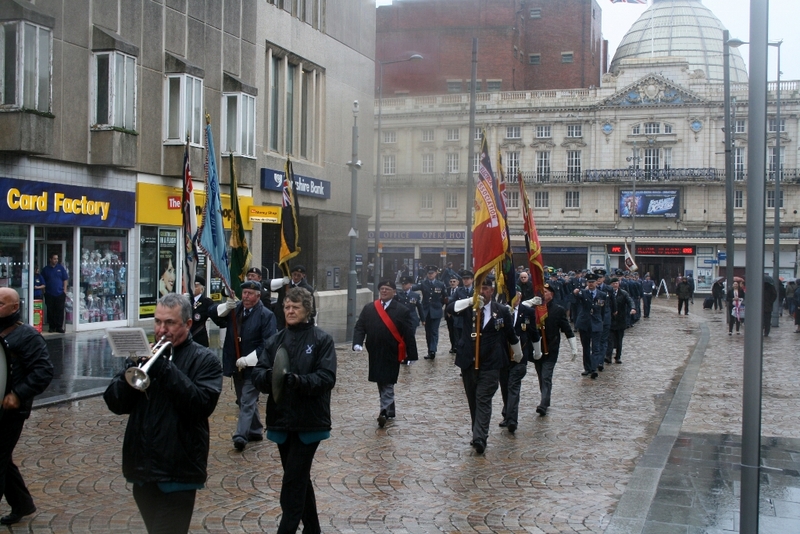 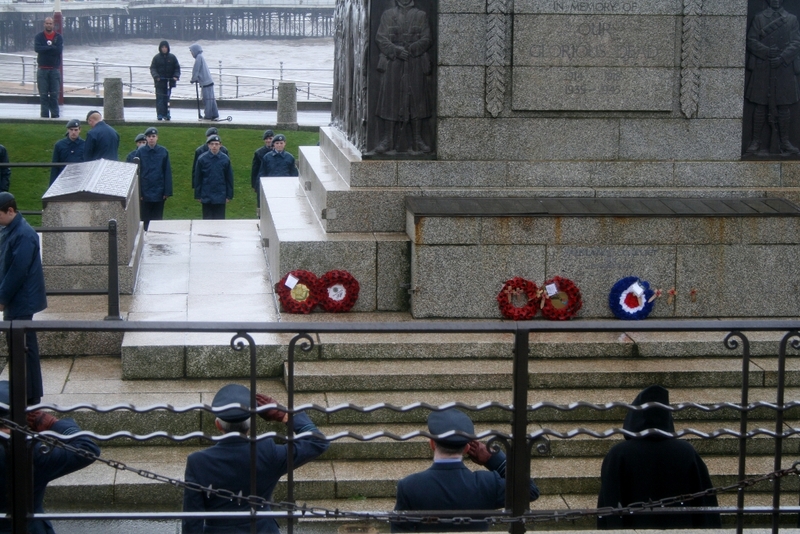 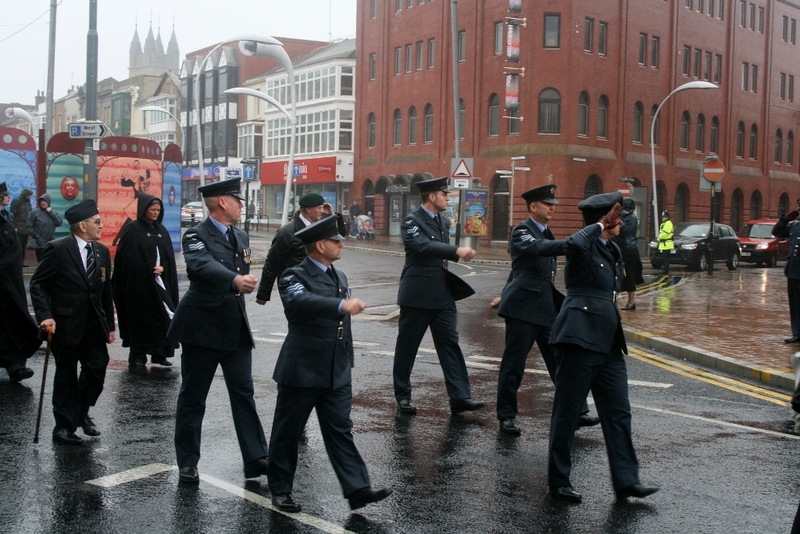 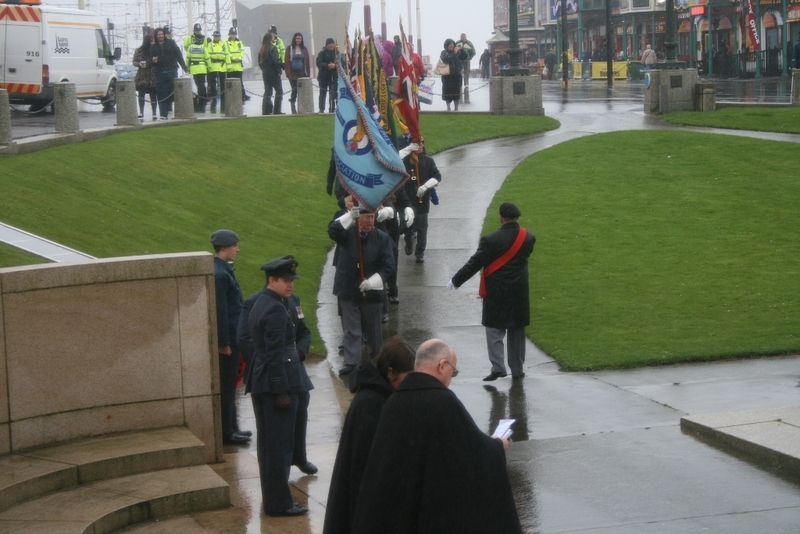 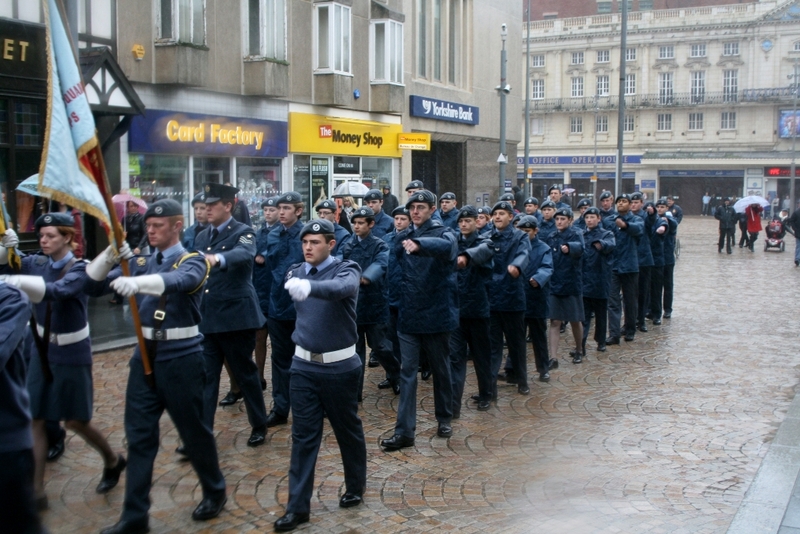 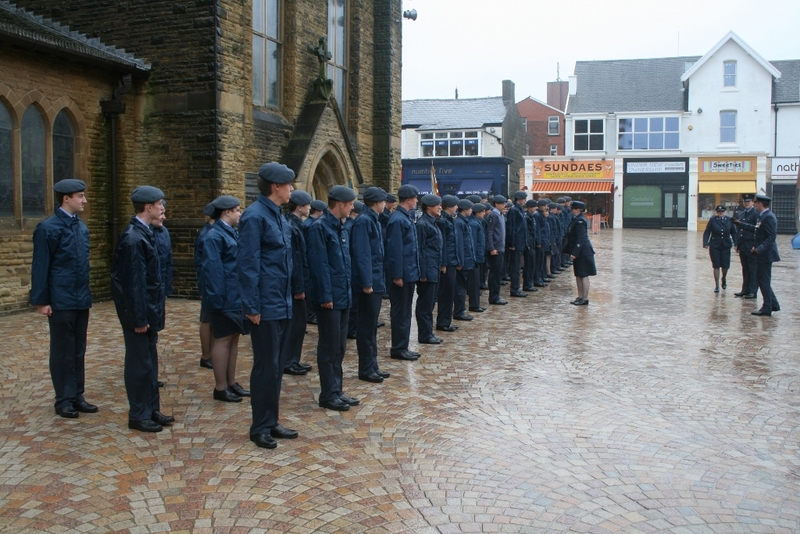 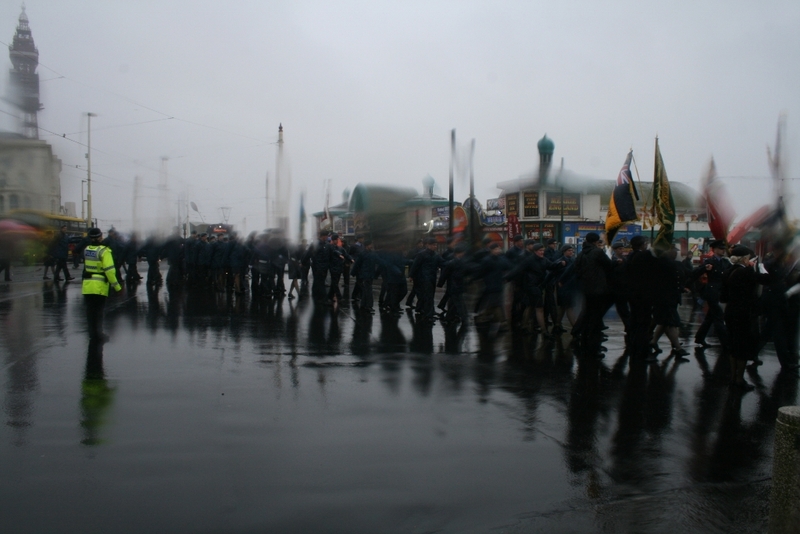 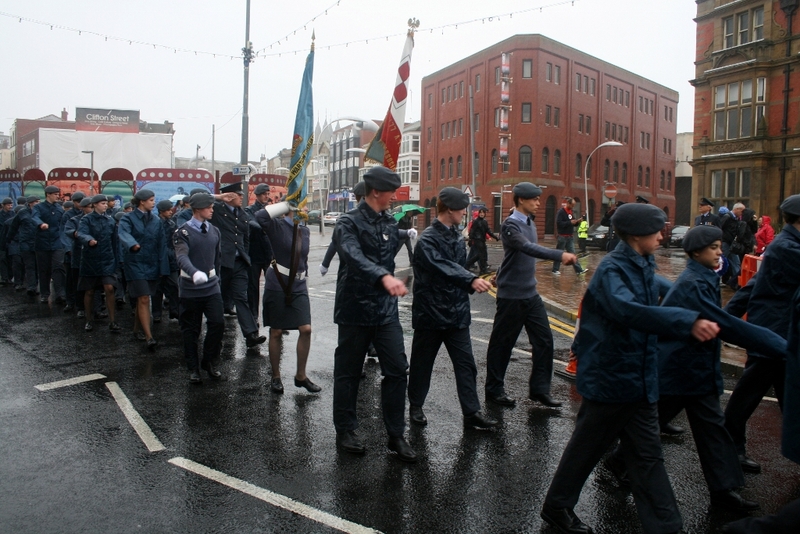 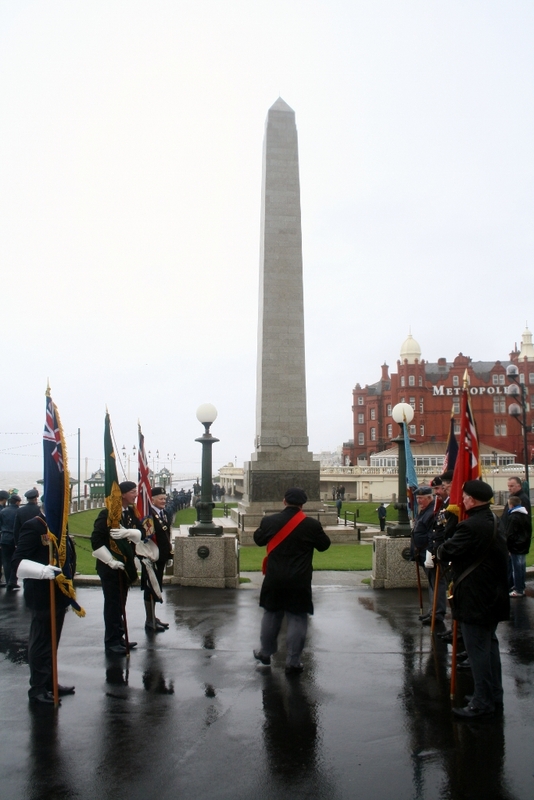 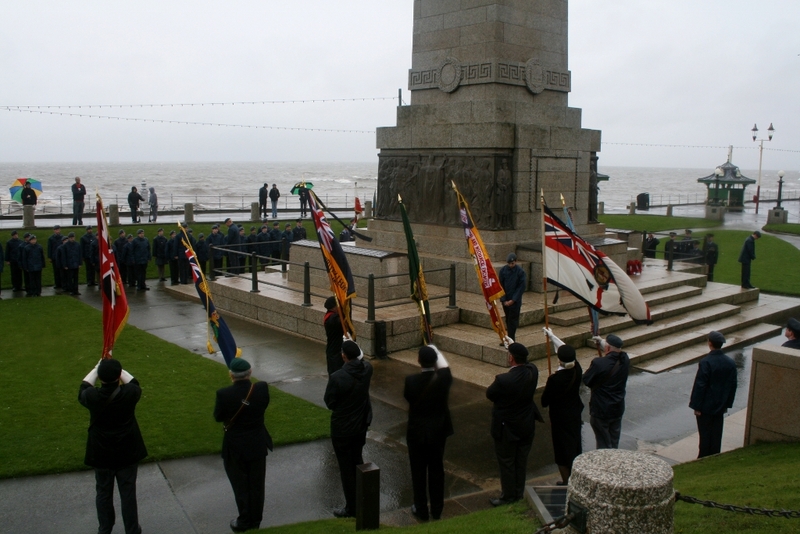 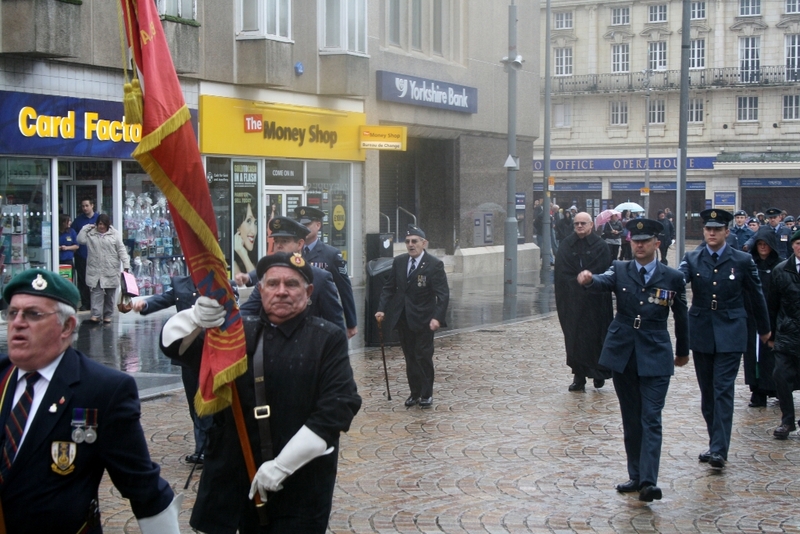 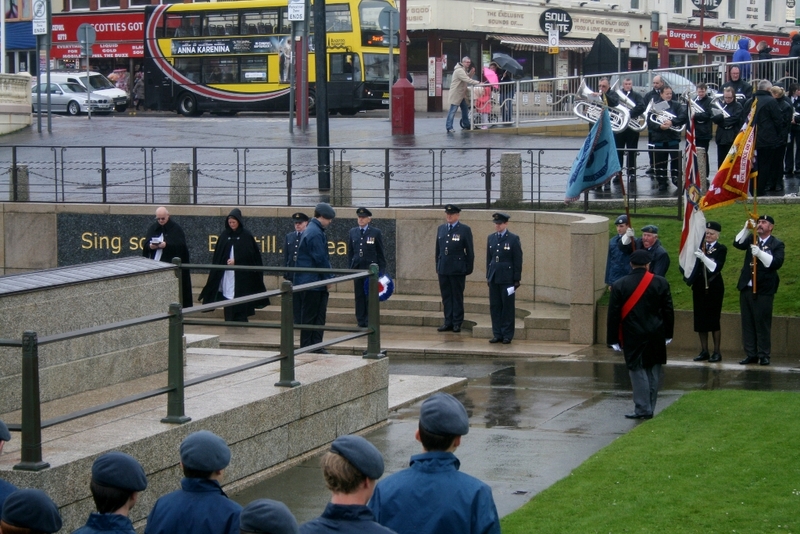 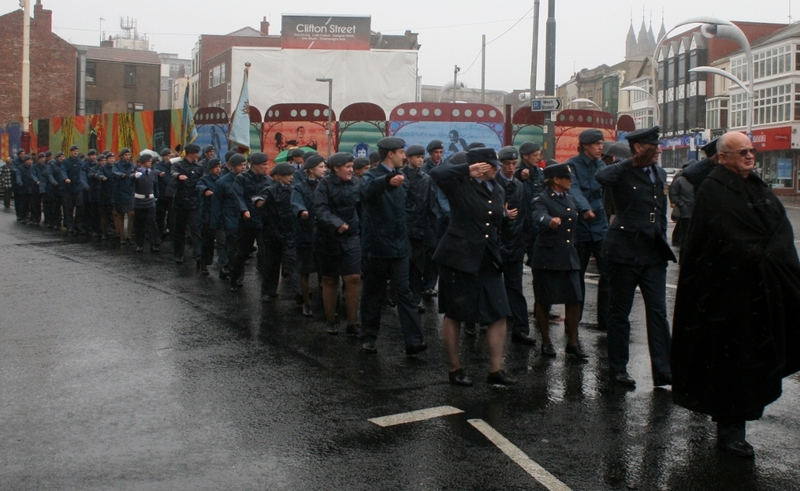 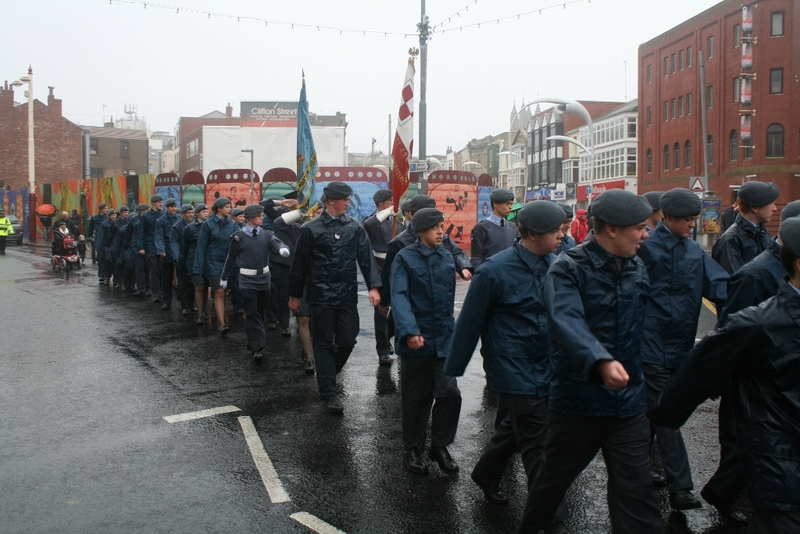 Cadets braved the stormy weather to march to the War Memorial on the Promenade, for a short wreath laying service, with Wg Cdr Molloy taking the salute as the parade passed Blackpool Town Hall. 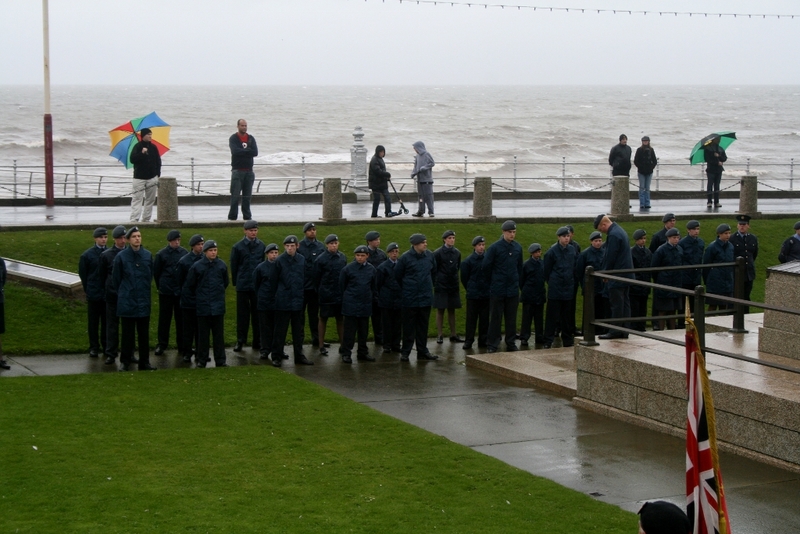 967 Sqn staff would like to thank the Cadets who took the time in the wet and windy conditions today to help keep alive the memory of those who fought and lost their lives in 1940 defending the United Kingdom and her allies.